It is a fantastic method on how to download Instagram stories without being detected. Yes! It is possible to download Instagram stories secretly. I will share 3 ways to download Instagram stories. 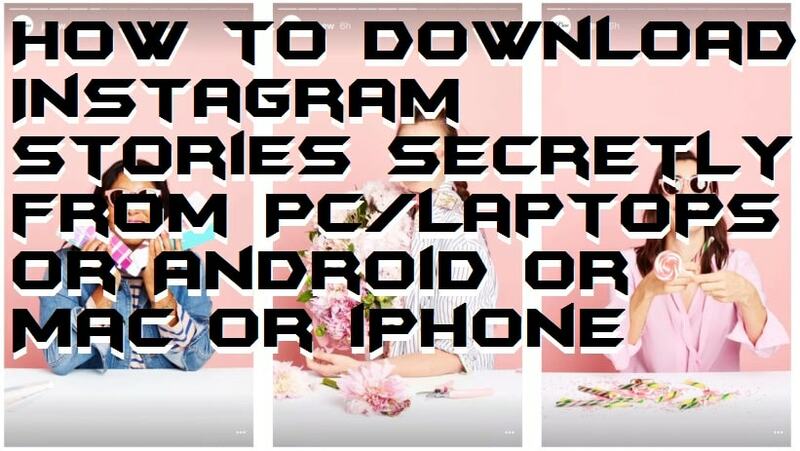 Users can use this method on how to download Instagram stories on Android, Windows PC/Laptops, Mac or iPhone. You can use these three methods to download Instagram stories from anywhere. Recently Instagram released a new feature where if someone takes a screenshot of your stories then you will get a notification of the same. This feature surely helps if you want to protect your privacy and stay clear of stalkers. However, there’s nothing fun like secretly downloading your friends’ stories without letting them know, right? In today’s article, we will tell you how to download Instagram stories secretly before they are deleted or removed. To download Instagram stories secretly from your PC or laptop, first, download and install Google Chrome on your computer. To view and download Instagram stories Chrome IG Story plugin on your Google Chrome. This plugin can also be used to watch someone’s IG story without notifying them. After installing the new plugin, open Instagram on Chrome web browser or reload if it’s already open. Now you’ll see a download icon beside on stories listed on right side of the screen. The stories with a grey circle represent the ones you have already seen. And the ones which are radiant represent unseen ones. To save any story just click on the download icon beside it. All the stories (photos or videos) of the selected user will be saved as Zip file in the Downloads folder of your computer. If you want to download your friend’s Instagram story from your Android device, then we recommend using Story Saver for Instagram. Using this app is also very simple. Just log in to your Instagram account and click person whose story you want to download. Now you’ll get a list of all stories currently posted by him. Click on the photo or video you want to download and then tap on “Save” from the pop-up options list. You can also use the above method to view someone’s Instagram story without letting them know. The following method will work on both iOS as well as Android users. But, since this method is a bit lengthy, we recommend that Android users use Story Saver app only. This is a great method on how to download Instagram stories secretly on iPhone. Visit StoriesIG from your smartphone web browser. Type the Instagram username of the person whose story you want to download in the text box. The website will suggest various users based on the username you type. Tap into your desired account. Users can see a list of all stories that have been posted by that person provided that their profile is public. Tap on the image or video you want to save. To save it either select Save Image from Share icon or long tap on the image and then choose Save Image. If you want to download a video, you must have a file manager installed on your iOS device. As mentioned earlier, this process is lengthy. But since there are no third-party apps for download Instagram stories on iOS, this is the only choice you have. Note that this method can be used to download any users’ IG story as long as their profile is public. 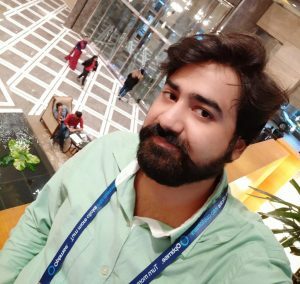 It is a fantastic way on how to download Instagram stories secretly. Users can download Instagram stories directly on their Windows PC/Laptops or even iOS products. It doesn’t matter, What operating system you are using or what phone. This guide is the best method on how to download Instagram stories. Share this article with your friends and help them to download Instagram stories secretly.